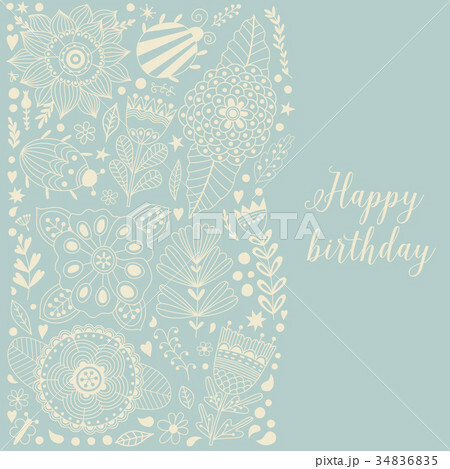 Floral card design, flowers and leaf doodle elements. Illustration made of flowers and herbs. Vector decorative invitation. Spring elements. Floral doodles.